(Woodbury, MN – April 30, 2018) Ideal Credit Union has announced the following personnel changes that have taken place over the past few months. Kari Olson has been promoted to Director of Mortgage Lending Operations. Olson joined the Ideal team in 1992 and has over 25 years of experience in the financial services industry. In her role she will be responsible for monitoring and managing processing, underwriting, servicing and compliance functions of the credit union’s real estate lending area. Amara Mackey has been promoted to Accounting Manager. Mackey joined Ideal in 2007 through the credit union’s partnership with the DECA program at Tartan High School, home of the Ideal CU Student Credit Union. She has 9 years of experience in the financial services industry. Mackey will supervise the daily operations of the Accounting department, ensuring complete, accurate and timely completion of financial, statistical and regulatory reports in accordance with accepted accounting principles. Melissa Dickhausen has been promoted to Manager of Training and Development. Dickhausen joined Ideal in 1998 and served as Training and Development Specialist prior to her promotion. She will oversee the training department and evaluate overall employee effectiveness and performance through the application of individual and group training techniques. Dickhausen has 20 years of experience in the industry. Kelly LaPlante has been promoted to Training and Development Specialist. LaPlante joined the Ideal in 2013 as a teller and most recently served as Supervisor of Cash Services. She has 4 ½ years of experience in the financial services industry. LaPlante’s role is to improve overall employee effectiveness/performance through the application of individual and group training techniques and programs, consistent with the credit union’s organization priorities. Priscilla Vang has been named Project Manager. Vang joined Ideal in 2007 and has 11 years of experience in financial services. Vang’s role is to plan, initiate, manage and execute all aspects of the organization’s projects and initiatives. She will monitor progress to assure deadlines, standards and target costs are met. Bailey Griffith has been promoted to Branch Manager of the Inver Grove Heights office. Griffith joined Ideal through its partnership with the DECA program at Tartan High School. He is responsible for developing growth strategies to ensure branch success and provide excellent member service while striving to exceed member expectations. 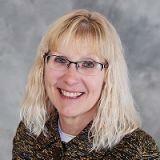 Griffith replaces former IGH Branch Manager Kristy Baker, who was recently named Retirement Member Service Specialist. Baker has been with Ideal since 2007 and has 12 years of experience in financial services. Founded in 1926, Ideal Credit Union is a member owned financial institution that is dedicated to providing financial services driven by a sincere and personal interest in the needs of our employees, members and community. Ideal CU offers a complete range of services, including a full suite of electronic banking products, savings, checking, loans, mortgage products, exclusive VIP member payback, business services, investment services and more. Offices are located in Eagan, Hugo, Inver Grove Heights, North St. Paul, Stillwater and Woodbury. Visit idealcu.com for details and directions.